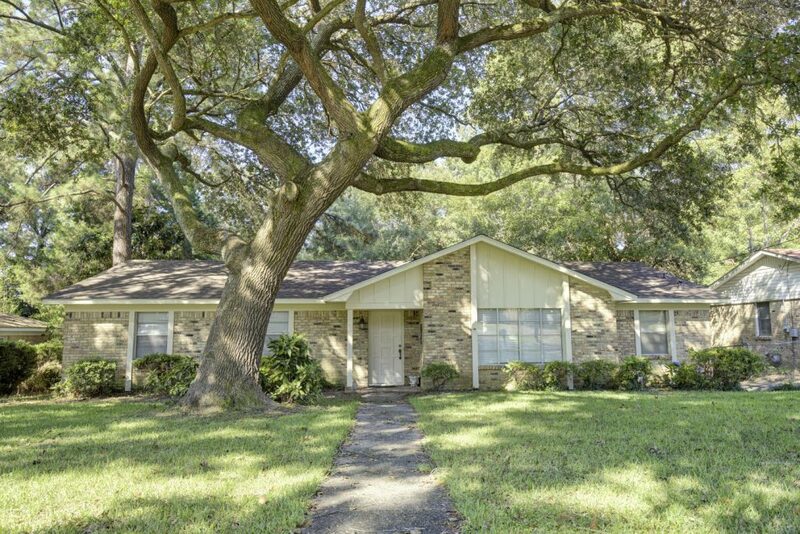 Ranch Style Home For Sale in Daphne’s Popular Lake Forest Community! This Ranch Style Home For Sale in Daphne’s Popular Lake Forest Community is just waiting for you! There have been more homes to close in Daphne than any other city in Baldwin County, AL year to date. The market is amazingly hot! Lake Forest is a mature subdivision nestled in the heart of Daphne. This fantastic home on sought after Stuart Street is rare as there is no obligation to pay transfer fees or join the POA. However, the subdivision amenities at Lake Forest are absolutely amazing and include newly upgraded pools, sidewalks, multiple tennis courts, and access to the club house & yacht club amenities! This family friendly neighborhood is close to EVERYTHING! With multiple entrances there is quick travel to grocery stores, shopping, schools, and entertainment. Step out of the back door onto your deck overlooking your spacious back yard. Beautiful tree cover filters the cascading rays of natural light just perfectly. This home boasts three bedrooms and three bathrooms with a den & formal living room. A perfect abode for a growing family in a great location with awesome schools. Take the place as it is, or try out your creativity with some remodeling! Either way, don’t let 570 Stuart St get away! Come Tour this Ranch Style Home For Sale in Daphne’s Popular Lake Forest Community with the Jason Will Real Estate Team 251-866-6464!